In this guide, I’ll go over the reasons why USCIS may expedite a reentry permit application. I’ll also go over the instructions for how to request expedited processing from USCIS. 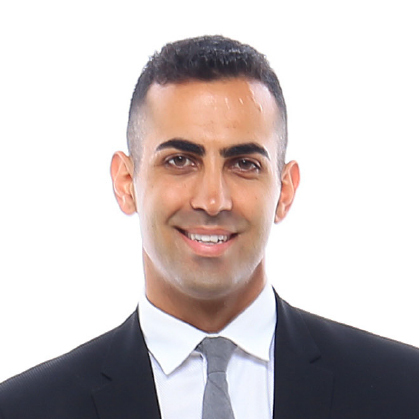 If you need help with your reentry permit, feel free to email me at Michael@AshooriLaw.com. I’m very responsive via email and would be happy to help you. To get a reentry permit, you must be physically present in the US when your Form I-131 (reentry permit application) is filed and accepted by USCIS. You also must attend a biometrics appointment (digital fingerprinting) in the US sometime after your reentry permit application is filed. Usually, the biometrics appointment is scheduled about 6 weeks from the date you file your reentry permit application. For many green card holders, staying in the US for 6 weeks until the biometrics appointment is not an option. It is very common that US permanent residents applying for a reentry permit are in a rush to leave the US to get back to work, return to school, take care of a relative, or attend to other similar obligation. Leave the US once your reentry permit application is accepted by USCIS and then return to attend your biometrics appointment. In certain situations, USCIS will expedite cases. This means that USCIS will review and process a case much faster than it normally would. Whether USCIS will grant an expedite request is completely at USCIS discretion. Here is a link to the USCIS website which goes over the reasons why an expedite may be approved. To get your reentry permit expedited, your situation should fit into one of the above categories. You should also provide evidence which clearly shows how you fit into one of the above categories. For example, if you will experience severe financial loss without expedited processing, you should include documents (such as contracts, letters, and other similar evidence) which will prove your argument. The official USCIS instructions for the Form I131 include some instructions for how to request expedited processing. Type or print the work “EXPEDITE” on the top right corner of your reentry permit application (in black ink). Provide email addresses and a fax number. Include a written statement explaining the reason you are requesting expedited processing. Include evidence which supports your reason for requesting expedited processing. Here is a link to the USCIS page on reentry permits, which also links to the Form I-131 instructions. You should also include prepaid self-addressed envelopes with your reentry permit application for USCIS to send your receipt notice/biometrics appointment notice/and reentry permit. 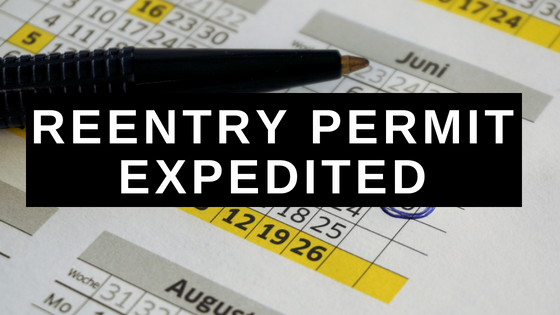 Getting your reentry permit expedited is not easy. USCIS approves expedite requests at their discretion. They do so for applicants that have a strong reason which justifies speedier processing. I’ve listed the criteria that USCIS is looking for above. These expedite criteria can be confusing to interpret. If you need help requesting expedited processing of your reentry permit application, feel free to email me directly at Michael@AshooriLaw.com. As an immigration lawyer, reentry permits are a large part of my immigration practice. I’d be happy to review your case and can prepare and file your reentry permit application for you.